The newly revised Prostate Cancer topic and algorithm provide up-to-date information about screening for prostate cancer using prostate-specific antigen (PSA) and other biomarker tests that may help determine which patients should consider biopsy. Multiplexed gene expression assays are helpful for establishing prognosis in early-stage, estrogen receptor-positive breast cancer. Read more about the testing options in the newly updated Breast Cancer topic. Adults or children with recurrent, severe infections may warrant testing for a primary immunodeficiency disease. Read more about the recommended stepwise laboratory evaluation in the recently updated Primary Immunodeficiency Diseases topic. 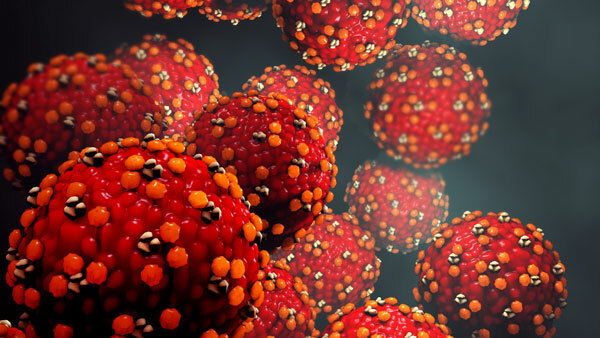 The number of confirmed measles cases nationwide as of April 11 stood at 555, the second-highest number reported since 2000, when the United States declared the disease eliminated, according to the CDC. Cases of the highly contagious disease have been reported in 20 states, and outbreaks (defined as three or more cases) are ongoing in New York City; Rockland County, N.Y.; Butte County, Calif.; Washington; New Jersey; and Michigan. Laboratory testing for the rubeola virus, which causes measles, includes serum testing for antibodies and viral culture. Read the Measles Virus – Rueola topic for more information.